It seems like every year, the holidays take so much energy out of us that we forget about New Year’s Eve. I’ve barely had a second to make plans for the 31st, but I definitely want to find some way to celebrate! 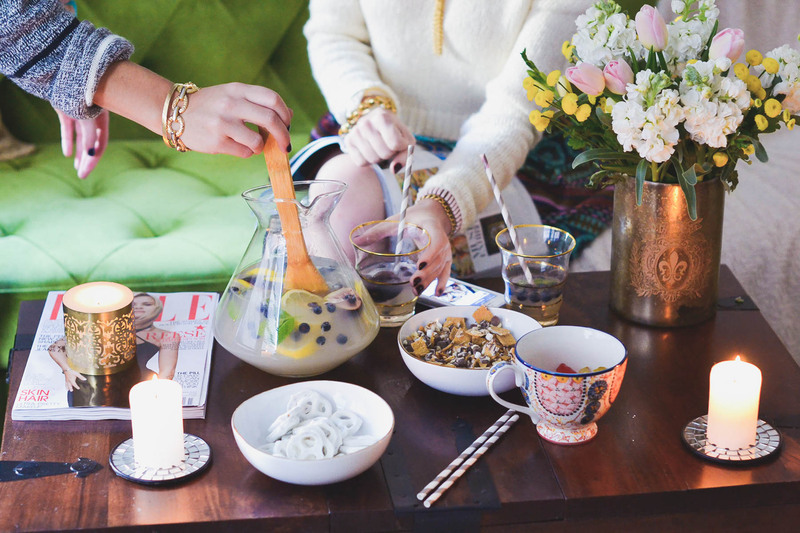 So I thought I’d conjure up a few alternative New Year’s Eve ideas for us last-minute planners that don’t involve the typical $80 open bar event. What better way to celebrate another year of adulthood than by hosting a sleepover with all your friends! Bring out the sleeping bags, matching pajamas, tons of candy, and watch old movies all night! Play truth or dare, prank call your crushes, and stay up past midnight — not just because it’s New Year’s Eve, but because you can (isn’t being in your twenties great??). There are tons of fun bowling/bar combos these days, so why not hit up one of these spots with a few friends? Order drinks and yummy snacks, and get weird bowling your way into the new year. Lots of comedy shows start late, and I’m sure there are some New Year’s Eve specials in your area! 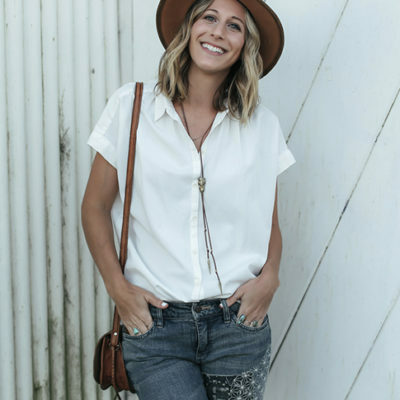 Laughing your a$$ off with a couple friends or a date at a stand-up comedy show? What a great way to start 2016! If it’s just you and your boyfriend or girlfriend for the 31st, make it special with a romantic night in. Go out and get some candles and flowers and setup a romantic evening. You could cook a fancy dinner together, take a bath, or watch a movie. 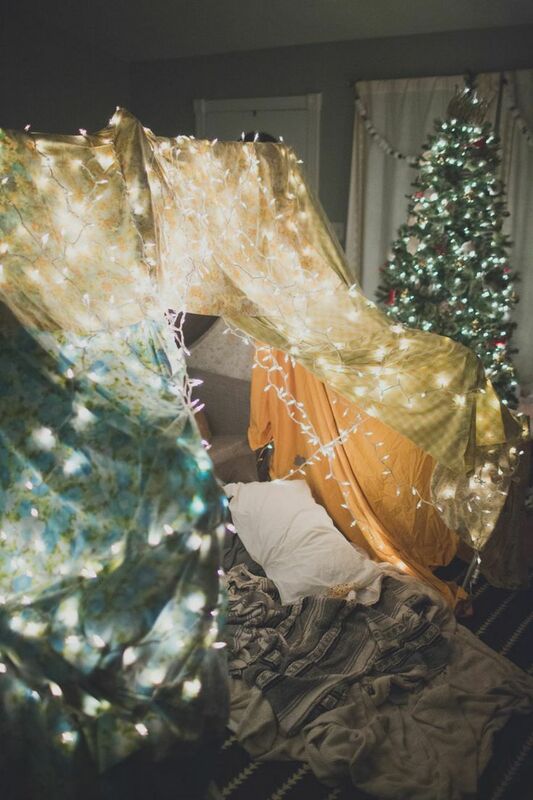 Just make sure to create a romantic setting, (like this magical fort with twinkle lights! ), so the night feels special. If you’ve never gone to a 90s cover band concert, now’s the time. It’s a major blast from the past, everyone attending is your age, and it’s SO fun singing along to songs you know every word to! For the ambitious, active people out there, try a midnight run! Most cities host one for New Year’s Eve and it’s such a unique way to celebrate 2016 and you’ll be starting the year off in a healthy way. 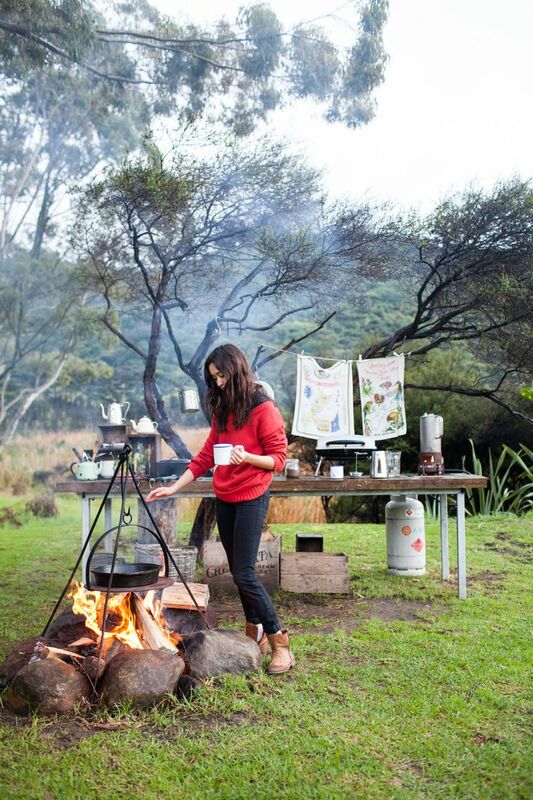 If it’s not terribly cold where you live, camping would be super fun for New Year’s! Cozy up with hot chocolate by the fire and watch the fireworks from a distance. You’ll wake up to 2016 in the peaceful outdoors. Sounds pretty great to me! These are all such great ideas, thank you for sharing! Happy New Year! Romantic night in would have been such a great idea! These are great! We went to a bonfire which was fun (but chilly in Connecticut), but I really love the idea of camping! As mentioned before about being in Connecticut, I’m not sure that will happen, but maybe on a trip to a warmer climate someday!